I've been reading an a-aaaaa-mazing book called Kisses from Katie. Katie also has a blog here, which I have poked around in the past, and also which I have thought is amazing, but reading through this book, I have almost been in tears crying over the goodness of God. How he would use just a normal girl to do such incredible things, because He is an INCREDIBLE GOD! If he is using Katie in this way, he can use me with how messed up I am to do some great things for His name, too. Going through our adoption process right now, the only way I can sort of keep it in the forefront of my mind, is to try to read books about adoption. Suddenly, I remembered hearing that Katie had written a book. I quickly asked on FB if anyone had a copy, as there's a waiting list at the library for it, and a sweet girl sent me her copy telling me that I can have it. I am so thankful for this book! Katie's testimony of answering God's call on her life, defying all "norms" of the American dream, moving to Uganda, and becoming a mom to 14 girls, now running a non-profit ministry to help children in poverty go to school, be fed, bathed, and loved, just blew me away. You mean to tell me there are REAL Christians living the way Jesus actually calls us to? Everyone, Christian, or not, should read this book. But, if you are a Christian, you should definitely read this book. The funny thing is, I can't put into words what reading this book has done to me. I will try. For one, I cannot run my faucet without thinking about who in Uganda needs clean water. I cannot open my fridge and think about how many I could feed with everything in there. I cannot open a bottle of Ibuprofen without wondering who in another country just lowered their 3 year old in the grave, because their child died of a too high fever. I cannot let my child poor out his milk, because I envision children huddled in a dark damp hut with their tummies hurting for even one drop of milk. I look around me in disgust at all the extravagant richness surrounding me when I compare it to what so many people are living with/in on a daily basis. Pride slapped me in the face. Discontentment raised it's ugly head in a laugh. And I realized that I am so comfortable that on a regular daily basis, I do not live my life completely dependent on the Father to provide for me. It was as if God put on my face some "eternal goggle eyes" and then allowed me just a peak inside of a 3rd world country, what he's doing, and the problems that are only 24 hours away, less in other areas. And then the fact, that we can do something about it. Everyone can, if only they would. If only I would. Halfway through the book, I had to do something. I couldn't sit in my air conditioned house reading without helping somehow. I felt like the only way I could do anything was to give directly to Katie's ministry. And I added Amazima's button on my sidebar under things I support. With just $20 one child would at least be able to go to school, or be fed, and there's just something about giving knowing that you know that money is actually helping a child. It was like, all of a sudden, my heart woke up to the living God. Again. But this time, I could see that my comforts were what was keeping me from being in communion with God. It was almost as if they were the thing that has been keeping me from even talking with God. The very first time my heart started beating with His was in high school. The time God became real to me, was during all of my sickness in the hospital with UC. And now, it's like it was jolted awake again, and I could see how much of a complacent Christian I have been. And I don't like it. I want it to change. I don't want to forget and go back to where I was even a few days ago. The reason I cannot wake up to spend time with Jesus, isn't just because I sometimes stay up too late at night. It's because my bed is so comfortable and warm under my down comforter that I don't want to even lift my head off my feather pillow. I'd rather stay right there and "sleep pray" than actually get up and seek God. The last couple months, I've been more consistent than ever, but still not very consistent, because of She Reads Truth. 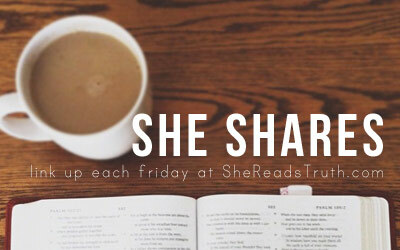 If you need a way to be held accountable to reading God's Word online... follow this blog. A new reading plan is starting tomorrow and I'm actually looking forward to it! We just finished proverbs and even though I didn't read every chapter every day, I still read a good bit and it was all worth it. Definitely should jump right in now. It's the doing that I've been missing. And I don't think God doesn't approve of Pinterest or whatever else. Just the constant surfing gazing at pretty things is getting old. God has made me to be super creative and I worship God as I do those crafty/sewing things, but I am guilty of desiring those things over my God, and the fact is, we all are. Being in America is a blessing, but it's hard, because honestly, how can we do anything truly to help when so often, we don't even see problems beyond our own government. I remember Katie saying in her book, that living in a 3rd world country and trying to help is like emptying the ocean with an eye dropper. The thing is... EVERY drop counts. Every child saved counts. Today, our pastor at church quoted Tim Keller who said "If you seek happiness more than you seek Jesus, you will have neither. But if you seek to serve Jesus, more than you seek to serve happiness, you will have both." What's amazing to me, is that reading this book, and looking back over the countless times where I can honestly remember being impacted by those in 3rd world countries, like my senior high mission trip to Mexico, or traveling to Nicaragua on another trip, and then getting transported back to the land of clean, I think I just felt like it was bigger than me and that I felt helpless. And it's true, we can all do something about caring for the widows and orphans and helping those in distress, but most of us don't. Those same helpless feelings started again, but this time, I gave what I could. And then I started thinking of ways that I could impact those around me. Today right after church, we played with the neighbor kids outside. One girl started talking about how scared she was that she was even outside, because of the West Nile virus disease. I didn't miss the opportunity to talk about Jesus this time. I told her that God doesn't want her to live in fear, and then I busted out in song singing "Do NOT fear, for God has redeemed you. You are HIS!" A little later, her little sister fell down and hurt her leg. I scooped her up, cuddled her on my lap, prayed over her out loud, and kissed her on the head. I know these girls do not come from very stable home environments, and a voice wondered in the back of my head, if her mama had truly ever done anything remotely similarly to that in response to a fall. Her lit up face told me not. Later, they were helping me sweep and clean my carport, which turned into a water fight, and while cleaning and sweeping we were all trying to say scripture verses that they learned this summer when I hosted a 5 Day Bible Club in my backyard. I don't think God is calling me to move to another country to make a difference for his name. But he is calling me to make the most of every opportunity right now around me to see with His eyes how to serve him, and for the first time, I am ready for anything God brings my way concerning this adoption, and I'm already planning our next adoption. I know, slow down, V! We should be approved this next week, and I don't have the same fear as before as my mind races through the "what-ifs". Instead, I have a peace that God will provide, because He is the one calling us to this specific adventure.